You may ask why I recognize Avatar under my series of Alien and Predator reviews. The answer is twofold: on the most basic level, Avatar is a movie about Aliens fighting off greedy, corporate Predators intent on exploiting their land for profit. Alternatively, you could interpret the movie as a story about savage, treehugging Predators hunting down misunderstood, human Aliens, but that’s not likely the slant intended by the director. Secondarily, Avatar is a movie about naïve, trigger-happy corporate marines who penetrate an alien territory with the aim of extinguishing a biologically superior species yet are swiftly overwhelmed, in spite of their heavy arms, by an enemy empowered with greater resolve, strength of numbers, and battlefield awareness. I.e., in writing and directing Avatar, James Cameron was subtly ripping off his own movie, Aliens, which is an undeniably better film and is bound to outlast the former even without that picture’s flashy CGI and 3D imagery. Nevertheless, Avatar is still a fine addition to the Alien/Predator family and certainly deserves the numerous nominations and awards it received, if not the $2 billion it picked up at the box office. Cameron envisions a 22nd century where technological advancements have enabled humans to drive remotely controlled bodies (kinda like organic drones) called avatars, created by mixing the human pilot’s DNA with that of an alien species. On the distant moon of Pandora, the RDA corporation uses these avatars to study and communicate with an indigenous humanoid race known as the Navi. 10-feet tall, blue, and slender, the Navi have a religious devotion to Pandora’s lush biosphere and view its trees, ferns, and animals as sacred and interconnected entities in a vast, Force-like network of energy. Their deity Eywa literally manifests itself in nature, and thus the Navi regard any attack on the environment as an assault on their god. This worldview poses problems to the RDA, who wish to mine the moon for an invaluable mineral called unobtainium. “This is the only reason we’re here, because this little gray rock sells for $20 million a kilo,” says the company boss Parker to avatar driver Grace Augustine, played by Sigourney Weaver in what seems like a long Ripley cameo. Although war has not yet exploded, tensions remain high between the natives and the corporate intruders, and so the avatars are tasked with arranging a diplomatic solution that benefits both sides. Into the midst of this conflict enters Jake Sully, an ex-Marine who’s invited to join the avatar program after this brother’s untimely death. Because their DNA strands were similar, Jake is able to operate his brother’s avatar as if it were his own, and in short time he’s roaming the Pandoran jungles with a group of blues. A perilous encounter with a massive Pandoran beast separates him from his friends and drives him headlong into a beautiful and physically adept Navi princess named Neytiri, who calls him a “baby” and “skxawng” among other things, yet takes him to the Omitacaya tribe after she witnesses a holy sign from some luminous jellyfish bugs. Over the course of several months, Jake is immersed in the primitive but rich culture of the Navi and learns to love their environmentally conscious, communal lifestyle. A warrior who dreamed he could bring peace, sooner or later, he has to wake up. Escalating hostility between his employers and his newfound family eventually force Jake to make a supposedly difficult decision: will he side with the racist, profit-motivated, bloodthirsty mercenaries who have hired him or defend the woman who’s captured his heart and the utopian tribe he’s grown to honor? You’ll have to watch the movie to find out, unless you already have just by reading this paragraph or watching the uber-spoilery commercial inscribed above. One of Avatar’s bigger faults its lack of an original script. As other reviewers have noted, Cameron’s movie seems like a colorful, CGI-enhanced mashup of Pocahontas, Dances with Wolves, and An Inconvenient Truth, with a lot of Aliens thrown in for good measure. Cool though it is, the AMP suit vehicle in this film is basically a militarized power loader with a gun, and Sigourney Weaver is playing a redhead botanist version of Ripley. Parker is the movie’s Burke-figure with one difference, that being his idolatry of money rather than of science and the natural world. All the gung-ho, hoo-rah marines return from Aliens as if they never died, only to get creamed a second time even with the advent of their mechwarriors, gunships, and Halo-style helicopters, which apparently are no match for the Navi’s bows and arrows, “dipped in a powerful neurotoxin which will stop your heart in 1 minute”. Plausibility is another huge factor acting against Avatar. Like all of James Cameron’s pictures, the movie ends with an elongated, special-effects-filled battle of epic proportions. The winning side flips several times, accompanied by triumphant or tragic orchestral shifts to signal the appropriate change in pathos, and the Navi are getting stomped thoroughly when Eywa answers their prayers and commands nature to “protect the balance of life” by literally crushing the humans underfoot. To say the movie requires a hefty suspension of disbelief doesn’t paint an adequate picture of Avatar’s absurdity. Avatar also stands out as one of the most condescending, offensive, preachy, and self-inflated science-fiction movies ever. The level of shameless earth-worship and capitalism bashing in this picture is almost enough to make Wall-e look like a harmless kiddie flick. The movie paints its conflict in the simplest of colors: the U.S. “jarheads” are heartless, sadistic, genocidal, money-worshipping brutes, while the tribal natives are peace-loving, humble, community-oriented, respectful of the planet, and overall perfect organisms. In Aliens, James Cameron gave audiences a realistic portrayal of nature as a violent, chaotic force that will consume man if he’s so foolish as to try taming it; in Avatar, man is depicted as the violent animal and nature as a rational, harmonious, even godlike figure that heroically resists the destructive tendencies of humanity. The latter movie is not only laughably simplistic, but downright ludicrous and apologetic in its philosophy. 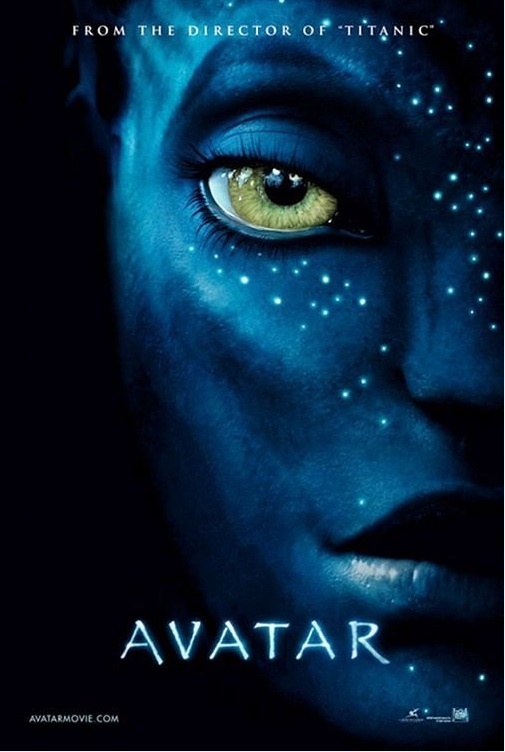 Its entire premise, that mankind is greedy, profit-obsessed, and withholding its proper due to the earth, is contradicted by the film’s very status as the top grossing movie of all time; Avatar, ironically, is the ultimate act of capitalist exploitation and greed, the two vices Cameron so fervently condemns (so long as it’s other people’s wealth and not his own at stake). In truth, Avatar’s one redeeming feature is its entertainment value. Chock-full of spectacular visual effects, unparalleled motion capture, gripping action sequences, Cameron’s signature one-liners, and beautiful blue ladies, Avatar delivered an incredibly fun experience on the big screen and still does to a lesser extent on not-as-big 70-inch televisions. As long as the viewer switches his brain off and absorbs the movie as entertainment rather than legitimate political commentary, he’s bound to have a good time. Some viewers have criticized the film for its heavy application of CGI and motion capture in place of traditional, in-camera special effects, but I think computer-animation is the most suitable medium for this tale, since Avatar is essentially a cartoon that wanted to be an Oscar-winner, a fable that dreamed it could bring greenpeace. Sooner or later, though, we all have to wake up. Much though I enjoy Avatar, if Cameron ever gets around to actually making those sequels he’s promised, I might abstain just to send him a message: that the Canadian sky-people cannot take whatever they want, that illegal aliens cannot despoil this country's roots through film, that this, this is our land. Raaaaaaaauuuuuu!